Patek Philippe 5167R, Newly purchased for me by someone, thank you very much for that. It is one of Brand and Design that I have always been collecting it since 2000. This one is in Rose Gold, while other models I carry are all stainless stell, such as 5065, or 5165, both in Rubber Band, and in Steel. Today I brought it to cut the rubber at Patek Philippe Service Centre in Bangkok, located at Gaysorn Shopping Plaza, near Erawan Shrine. It is very surprise to see how much they have done for the service centre. I am very impressed. The mechanics are very professional, and know what they are doing. They carry many certificate which will allow them to fix, and maintain most kind of watches, apart from some of Grande Complications. Big Patek Philippe Clock displayed at the Service Centre, Sadly, not for sale. All done! Perfectly fit on my wrist. And it was free to do this, but please do not forget to bring your certificate every time you go to fix your watches, otherwise, they might decline to give you service, if they have doubt whether your watch is genuine or not. 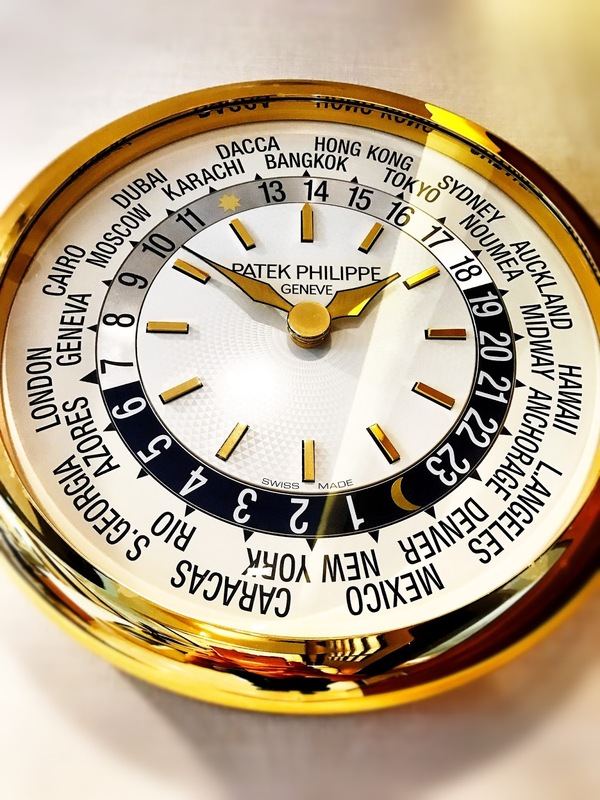 They are also a price to ask them to check authenticity of the watch, but I would not recommend you do it that way, just bring it there and ask them to adjust time or whatever, that will do, they will tell you almost straightaway whether it is real or not.